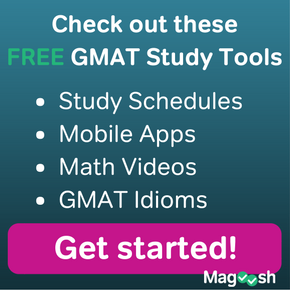 How Much Does the GMAT Matter? There has been a lot of discussion recently on, “How much does the GMAT matter?” Is there a perfect score? After many conversations with current MBA students, alumni, admission officers, and admission consultants, here’s some information that will hopefully shed some light on how much GMAT scores matter when applying for business school. I asked this question from a former admissions officer for a top tier school, and the answer was simple: “The GMAT is one of the only COMMON aspects of every application.” Therefore, the GMAT plays a crucial role in evaluating applicants. While schools/majors may have different GPA’s, different industries produce different results/careers, and recommenders can give letters of varying degrees, the GMAT uses ONE ruler to grade the quality of candidates (which is why many MBA rankings use the average GMAT as a standard grading criteria). HBS’s MBA Admissions director, Dee Leopold, clearly stated (as she has many times) that there is no perfect GMAT score. 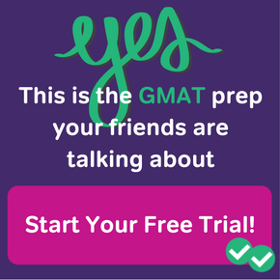 In fact, I have spoken with many members of MBA admissions organizations, all of whom stated that the “perfect GMAT” question is by far one of the top questions asked of applicants. Their answers were pretty much synonymous with Dee’s. With that being said, many admissions consultants state that your score should be within the 80% median of your target schools’ average GMAT scores… just to make sure your GMAT score is not negatively affecting your application profile. Over the last few years, GMAT score averages for the top 20 business schools have been steadily rising. Most notably at the highest end of the spectrum, HBS and GSB averages are approaching 730. Many admission consultants have attributed this to the many GMAT prep programs and tutors that many applicants now utilize to maximize the GMAT portion of their application. However, this last year, it seems that scores are starting to level off. Initial results of the Class of 2016 show that many averages are staying the same (and some are even a couple points lower!). I believe this is the start of ongoing trend as Adcom continue to evolve the application process. Sooooo…. 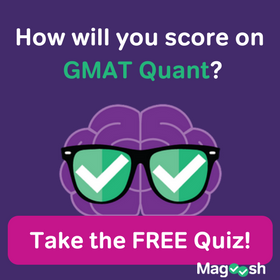 is your GMAT score good enough? That is the million-dollar question. Ultimately, you have to make the decision. What does your profile look like? Are you within the 80% median? At the end of the day you have to decide if your entire profile truly represents your successes, abilities, and future potential. The application process is holistic. But hey…. A 760 can’t hurt right?